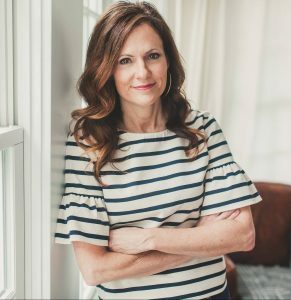 Thank you Hachette Book Group Nashville for partnering with me on this Lists to Love By blog post! 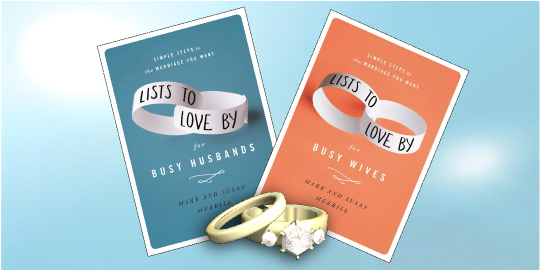 I heard about the Lists to Love By for Busy Husbands and Lists to Love By for Busy Wives from the company that was going to release these books. I couldn’t wait to read mine and see if my husband had time to read his. We’ve been married for 16 years now and do lead a busy life. He’s one that loves lists, and I thought these books would be perfect for us. Being a couple that truly cherishes marriage and knows that it was the Lord that made it all happen, makes us want to do all we can to make our marriage stronger and help each other know that we are always there. In today’s world of failure and displeasure, it takes strong spouses to stand together and fight for their love to each other. Seeing stories on the television about so-and-so being married for 7 days (or whatever) and now having irreconcilable differences (yeah, whatever!) makes me just shake my head. Marriage is not perfect, and it’s not something that will never have trials. If you learn how to work together and build the relationship stronger through a foundation of Jesus, than nothing can make it crumble! I said from a young age, after seeing many friends have parents that divorced, and seeing it become not so much of a problem in the world as it once was looked down on, really made me vow to only choose one man and stay with him as long as possible! Like a good friend once taught us, a marriage that repairs it’s problems and moves on has a stronger foundation than those that hide them! So true! These books just give you a bit of information from people who have already been there to help you grow your relationship, as well as you as a person. Being strong in our own beliefs, helps us to be strong for others. They help you to have a conversation, which in today’s world of hurry and then hurry again, some of us rarely have time for. Being able to take a moment and remember why you love your spouse so much, can really help to build your relationship even stronger. Let me know in the comments any tips that you have been taught about marriage, or taught others about. If you’re not married, what are some things you admire in others? It’s no secret that there is a wide emotional gap between men and women. Couples crave love and attention from one another, but they don’t always know how to show it. 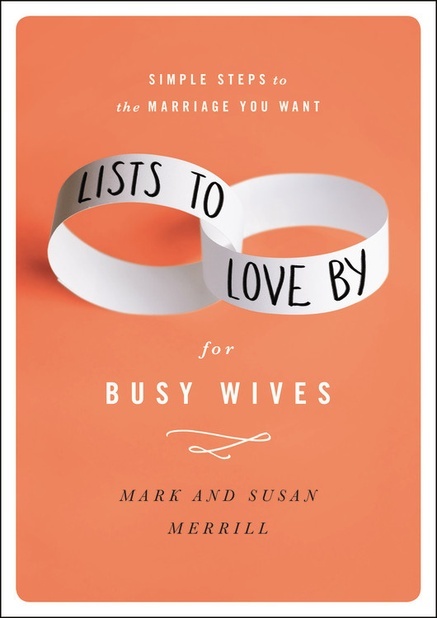 LISTS TO LOVE BY FOR BUSY WIVES presents creative and practical ways for wives to bridge this gap and improve their relationship. 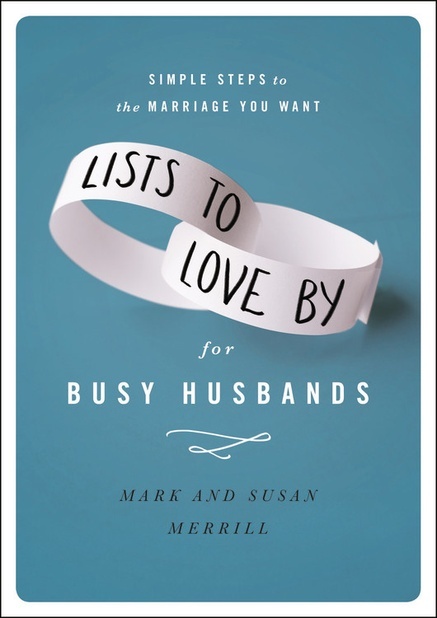 These thirty lists will carry wives through an entire month of learning to love their husbands more deeply with advice they will come back to again and again. From lists addressing a wide range of topics, readers will learn to set better expectations for their marriage, to communicate more effectively with their husband, to build a deeper foundation of love in their marriage, and much more. Susan Merrill – I would be a top spinning out of control — if it weren’t for my husband. I like to think outside the box. I like to troubleshoot. I like to take on challenges. 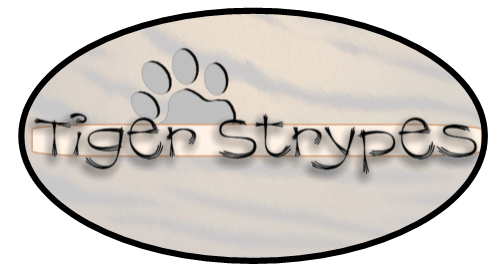 I like to work through projects. 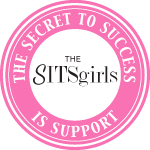 The result can be over commitment – which is where my disciplined husband comes in and saves me! God gave me five very different children because He knows I don’t like to do anything twice. This has made life…. interesting. He also gave me a lot of energy, thankfully, and a faulty heart (first pacemaker at age 17) to keep all that energy in check. My first career was in corporate lending (a painful experience). My second career was in marketing (much better fit) my third is directing iMOM (the bombhizzle!). I love listening to and learning from other moms, researching needs, praying for inspiration and creating solutions – to help them (and me) become the mother we all dream about. Mark Merrill – I’m so grateful for my wife, Susan, and our five children, ages 17-23. I’ve learned how to be a better husband and dad because of them. I’ve also probably learned more and benefited more than anyone else from Family First, a national non-profit organization. 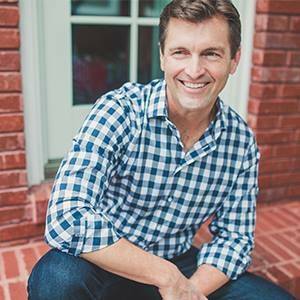 Since its founding, I’ve been honored to be a part of Family First as it fortifies families with truth through our All Pro Dad and iMOM programs. Hosting our nationally syndicated daily radio program, Family Minute with Mark Merrill, is an important part of what I do as well. I’ve had the opportunity to appear on NBC’s Today Show, numerous ABC, CBS, FOX and NBC network affiliates and national radio programs. Some of my comments and writings have appeared in publications like USA Today, the Washington Times, and Sports Illustrated. 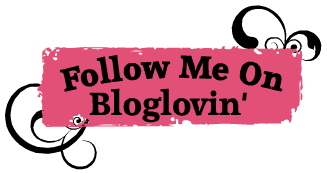 Blogging at MarkMerrill.com on marriage, parenting and relationships is something that I spend time on as well. Authoring the newly released book, All Pro Dad—Seven Essentials to Be a Hero to Your Kids, was quite challenging and yet rewarding. I’ll always be striving to be an All Pro Dad myself and I’m passionate about making family a top priority in my life and in the lives of others. In doing so, I enjoy speaking at conferences and events hosted by major companies and organizations, NFL teams, as well as special engagements for dignitaries. Sounds like a good read, often times, I need to be reminded that I am just as imperfect as my husband and he deserves that much grace and love. One of our biggest strengths as husband and wife of 6 years, couple for 14 is that we are brutally open and honest with one another, we talk through our problems forgive, forgiveness is so important when moving forward. I pray for my husband, I pray for our marriage and I am 100% myself with him. It’s so liberating! With how busy our lives get, it is important to take a moment and reminder why you and your spouse are together. With children and work, sometimes your marriage can get away from you. Sounds wonderful and helpful for those who are in a rocky stage in their marriage. I bet it would even help anyone in a serious relationship! I’ll put it on my must list !